1 in x 2 ft x 2 ft Armstrong Calla 9/16 in Square Tegular Panel - 2824 at Cowtown Materials, Inc.
Now your interior space can have the smoothest textured mineral fiber ceiling panel available. 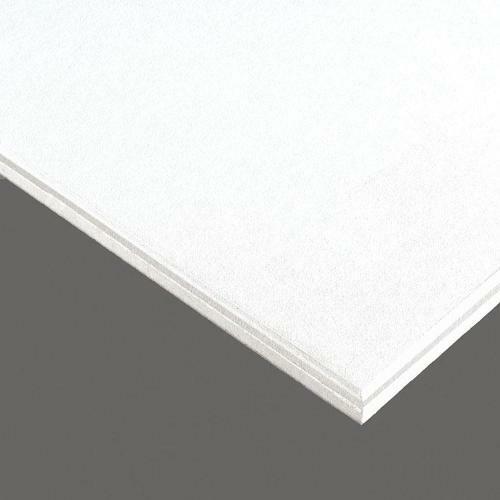 A Calla ceiling has the monolithic visual of drywall with easy access to the plenum. Calla is available in white and now in Colorations, 13 standard colors. Create a totally integrated system using Colorations with 9/16" Suprafine suspension systems and Axiom trim. Calla also offers: sound absorption (NRC) and sound blocking (CAC), high light-reflectance, and 68% recycled content. NOTE: Products in Colorations finish could see a decrease of 5-7% in NRC value.